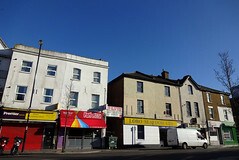 A fishmongers since 2002, 188–190 London Road began life as two “desirable shops” with living accommodation attached. This article describes the history of number 188, including bicycle manufacturers, hairdressers, tailors, and grocers. Read more.